Zippo Street Chrome Confucius Say Man Wife Windproof Lighter | BUDK.com - Knives & Swords At The Lowest Prices! Heed the words of Confucius! 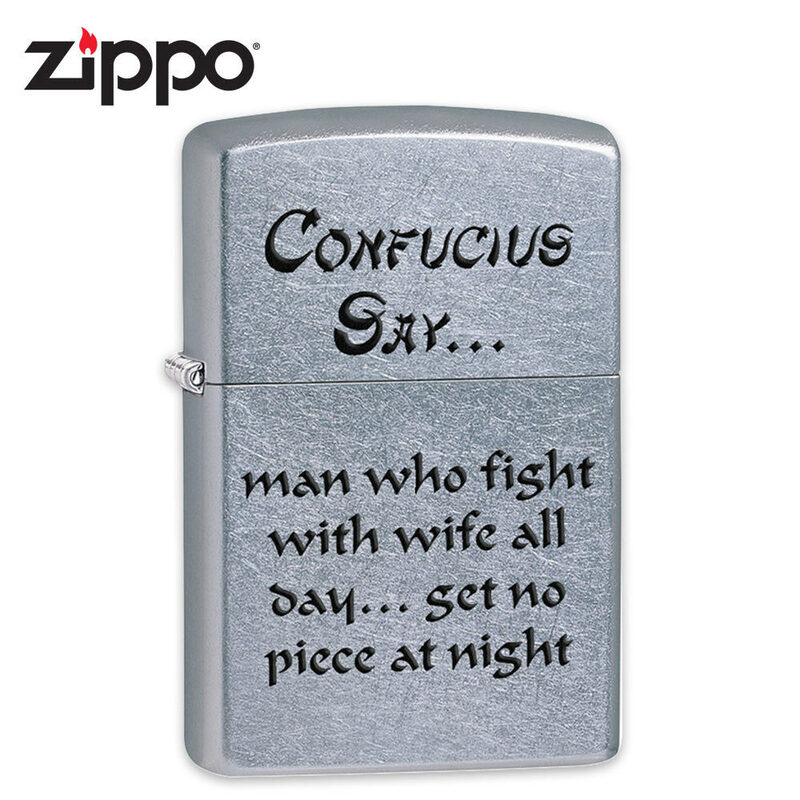 This Street Chrome Zippo lighter is engraved with the words "Confucius say. . . man who fight with wife all day…get no piece at night." Most importantly, it provides Zippo's legendary windproof performance, guaranteed! Made in the U.S.A.